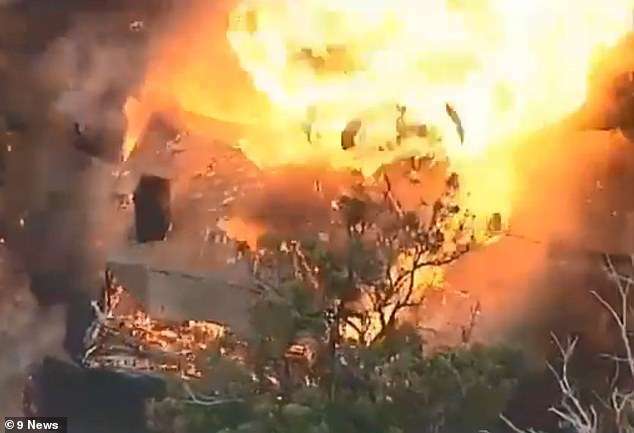 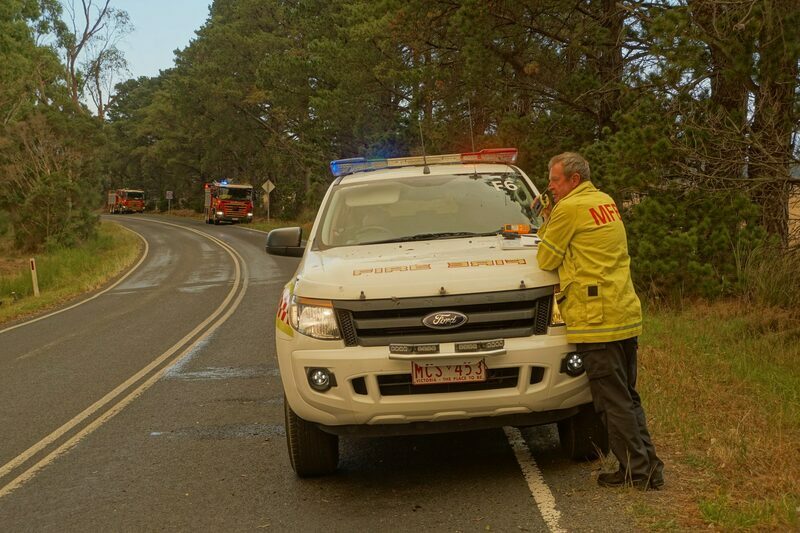 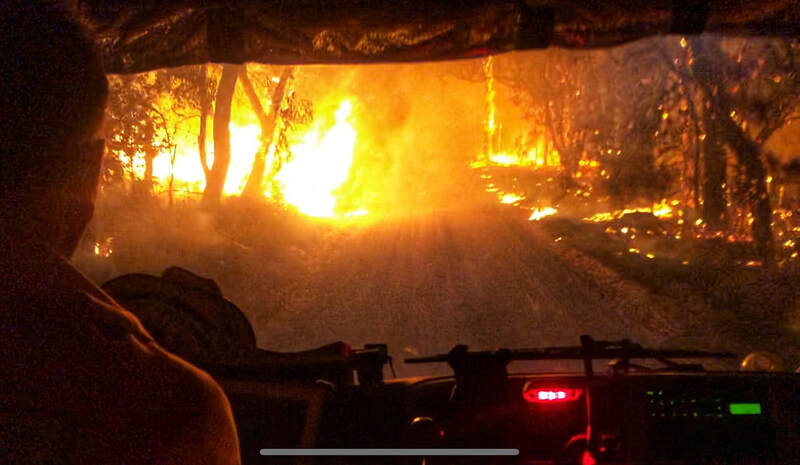 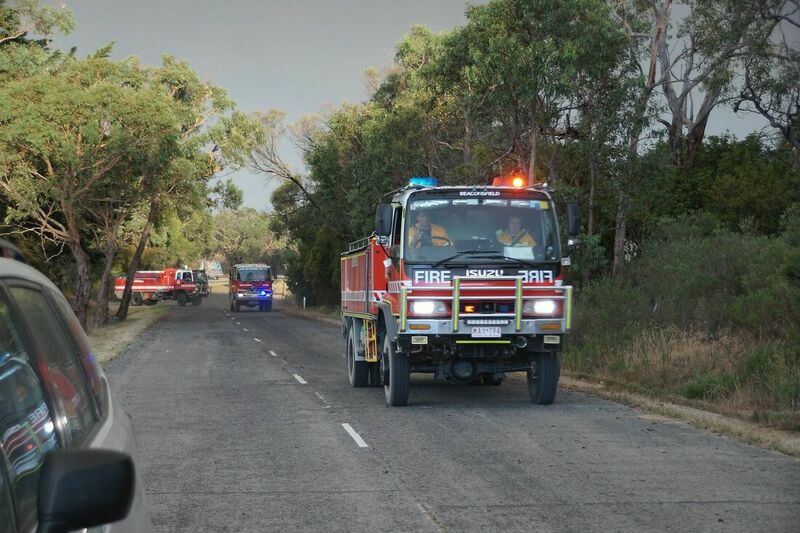 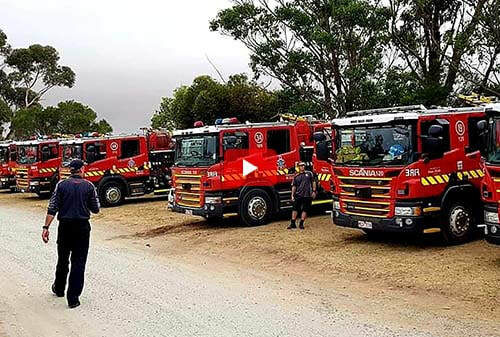 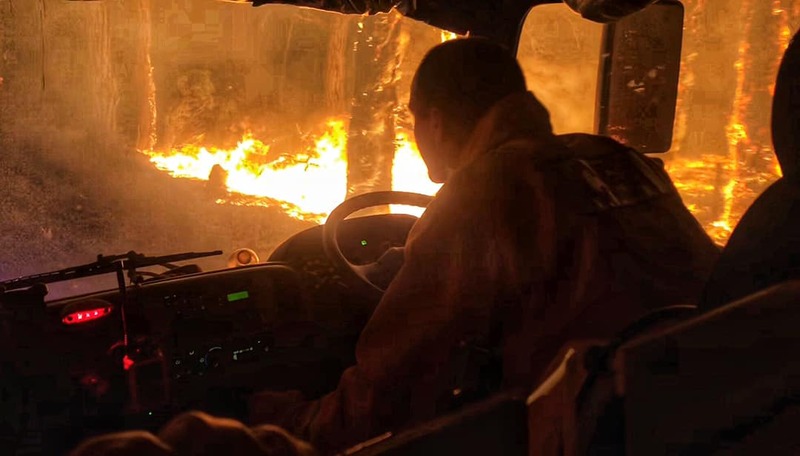 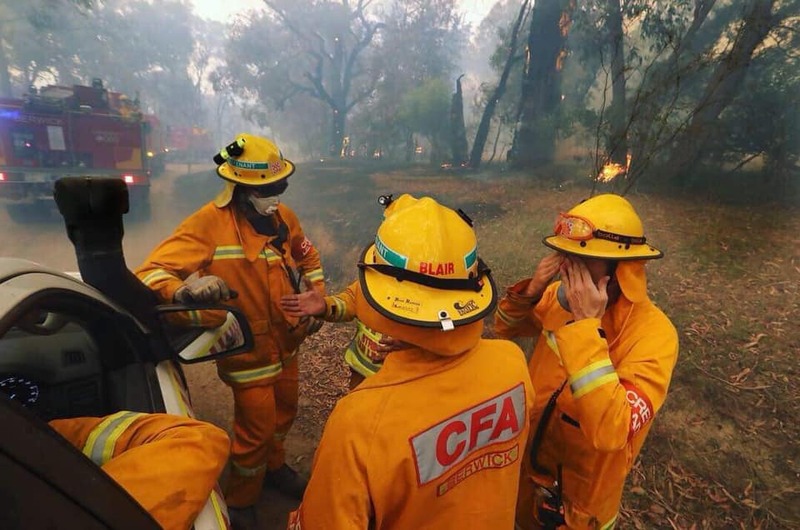 ​11 structures have been destroyed by the latest bushfires burning in south east Victoria that have been burning since 1 March 2019. 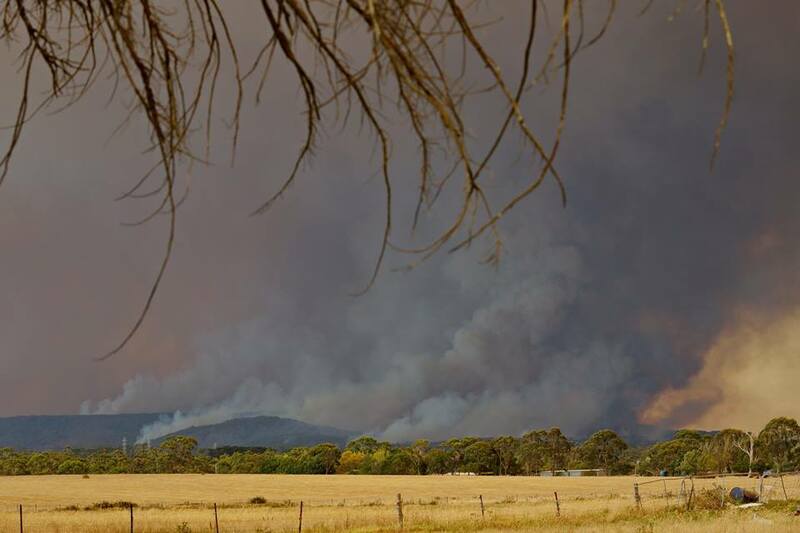 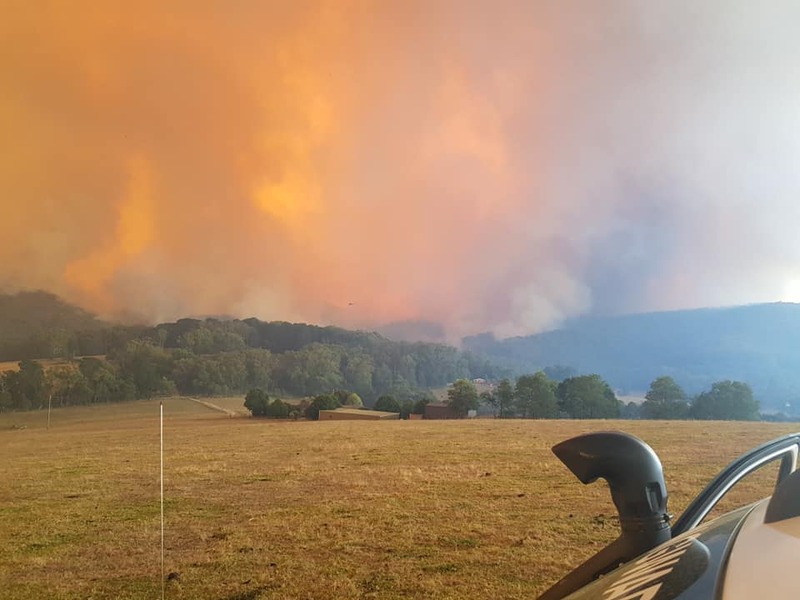 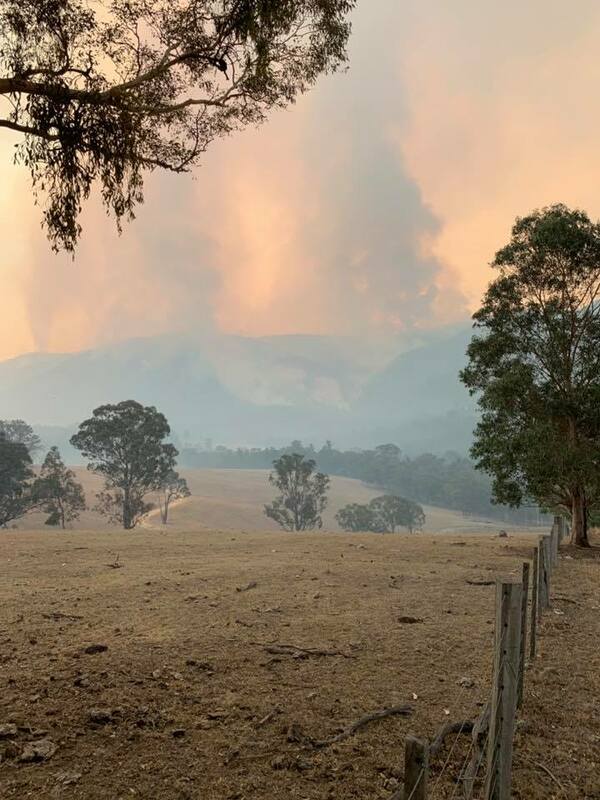 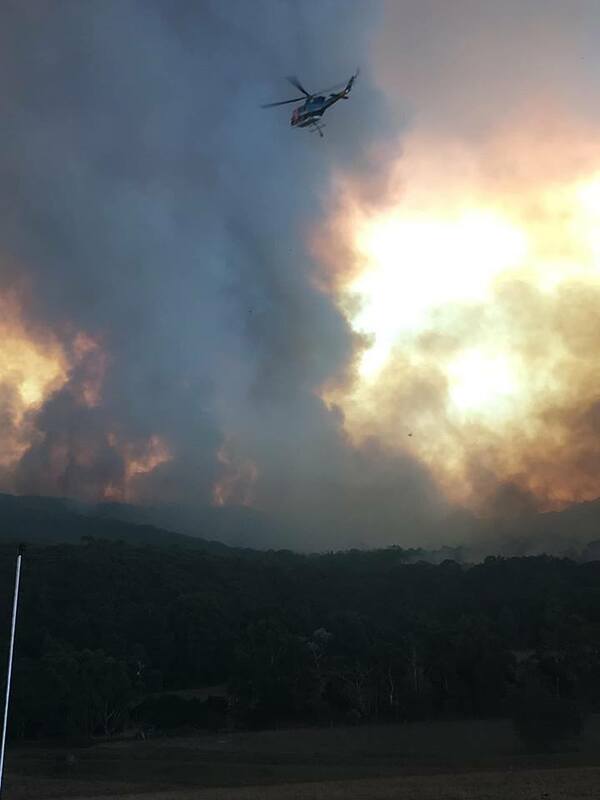 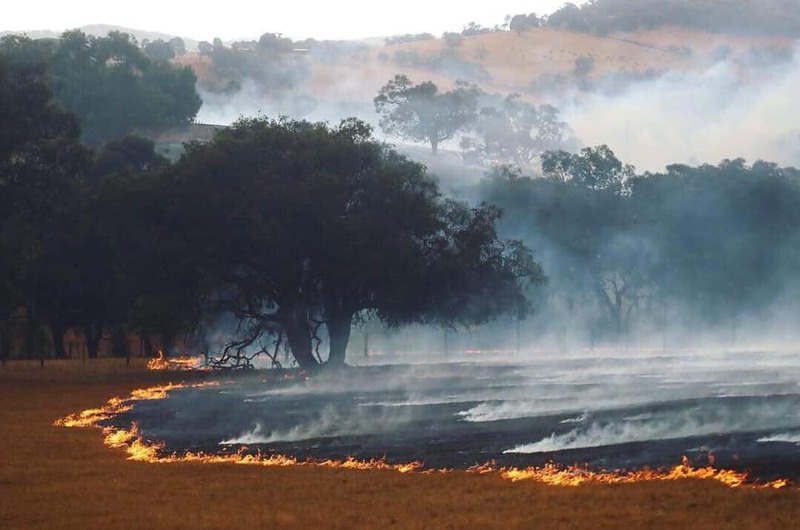 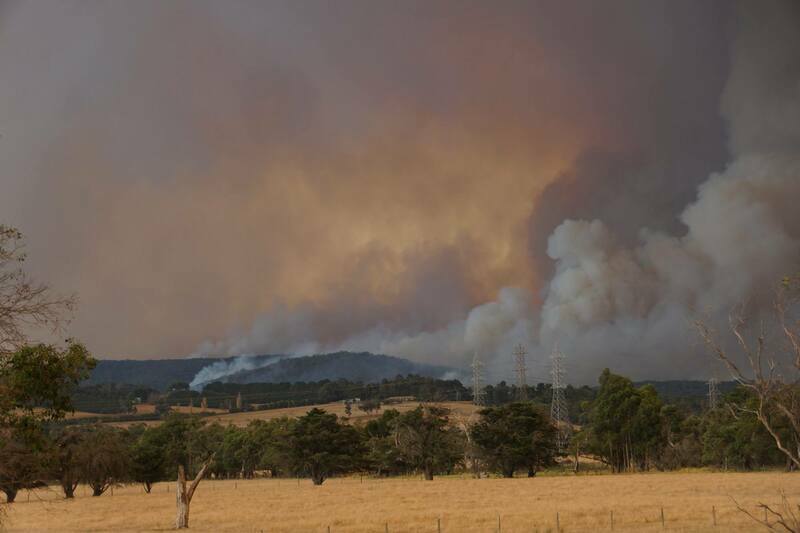 Fire conditions have intensified on the eastern front of the blaze near Dargo, while easing conditions around Bunyip have allowed some residents to return home to assess the damage. 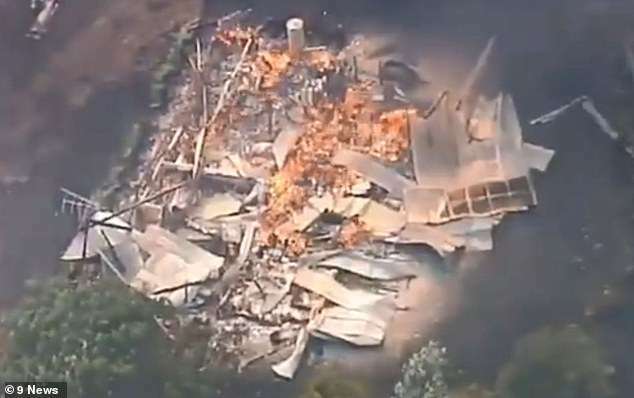 One resident whose home was destroyed says not enough back burning was carried out ahead of the bushfire season. 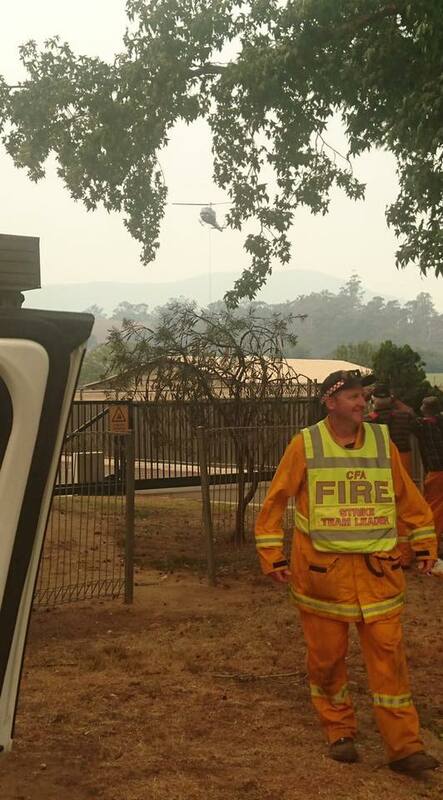 Rex Newton also claims Country Fire Authority crews stood by and watched as his property burned. 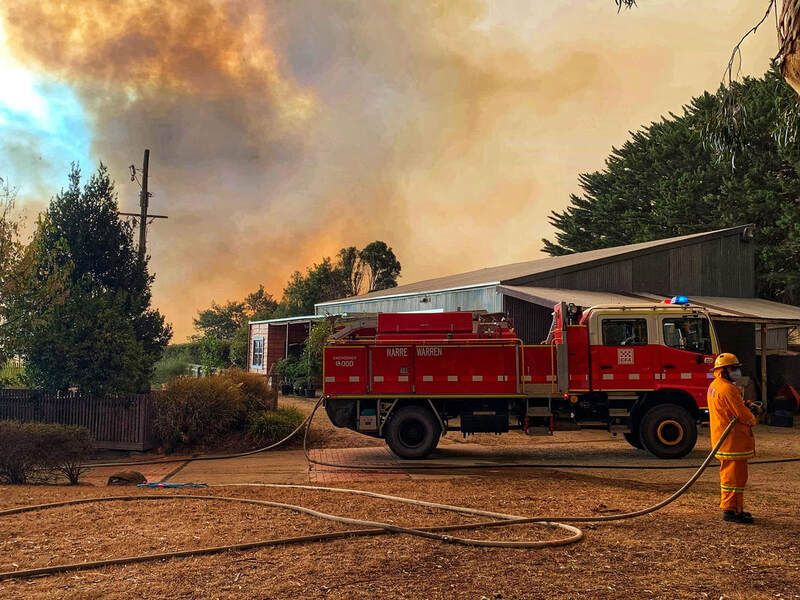 Fuel reduction burns would not have stopped bushfires that have destroyed 11 properties in eastern Victoria, the state’s emergency management minister has said. 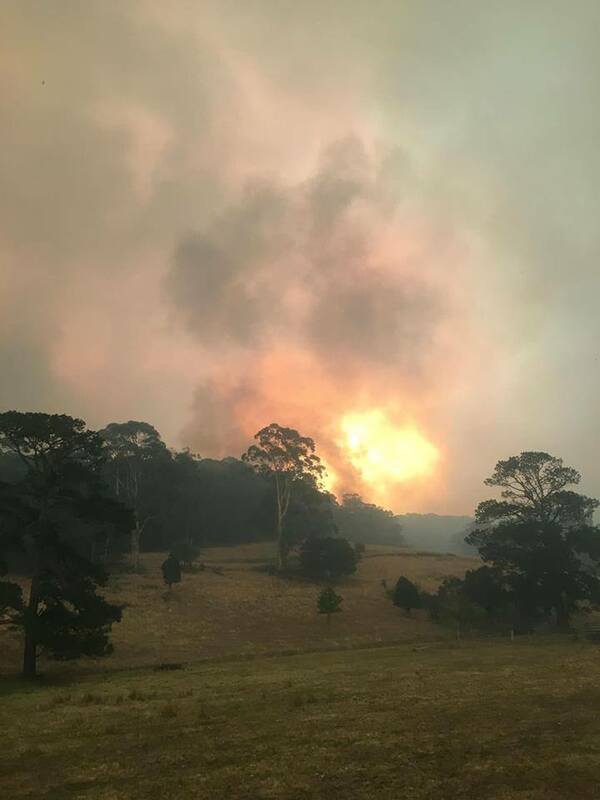 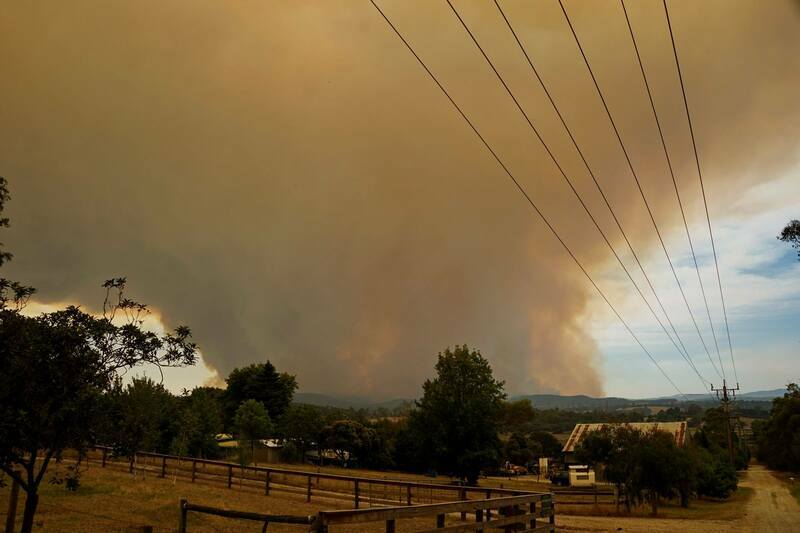 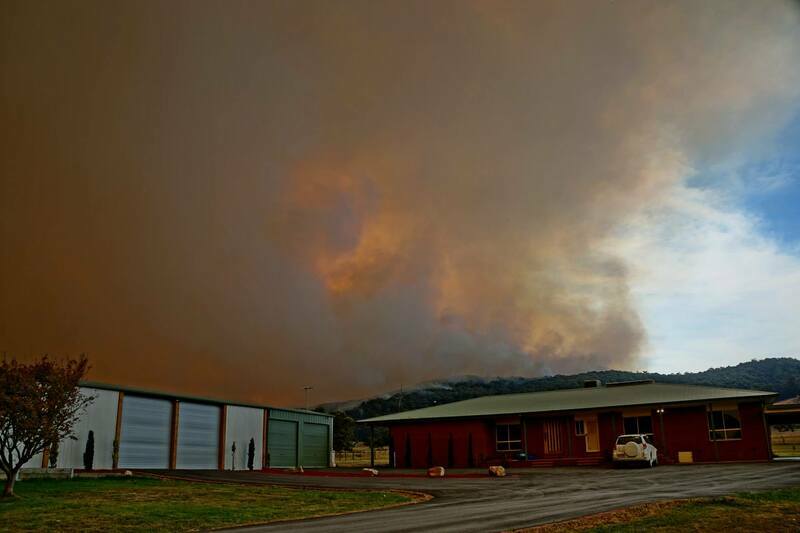 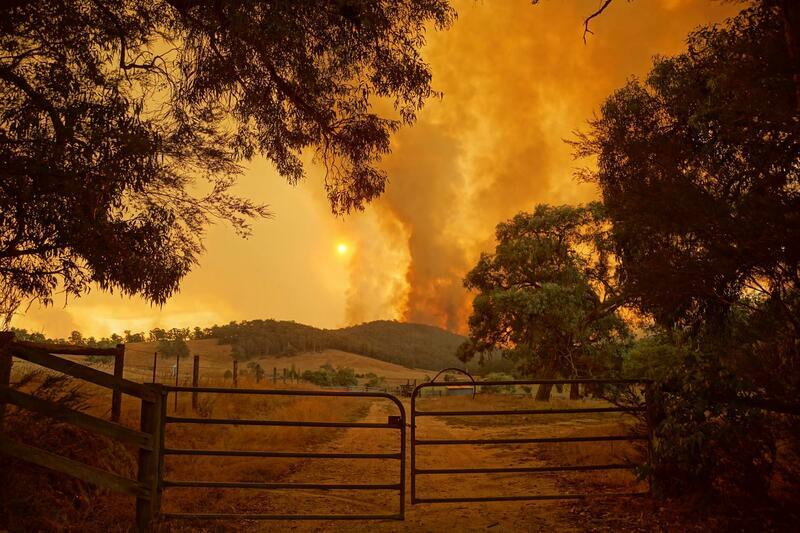 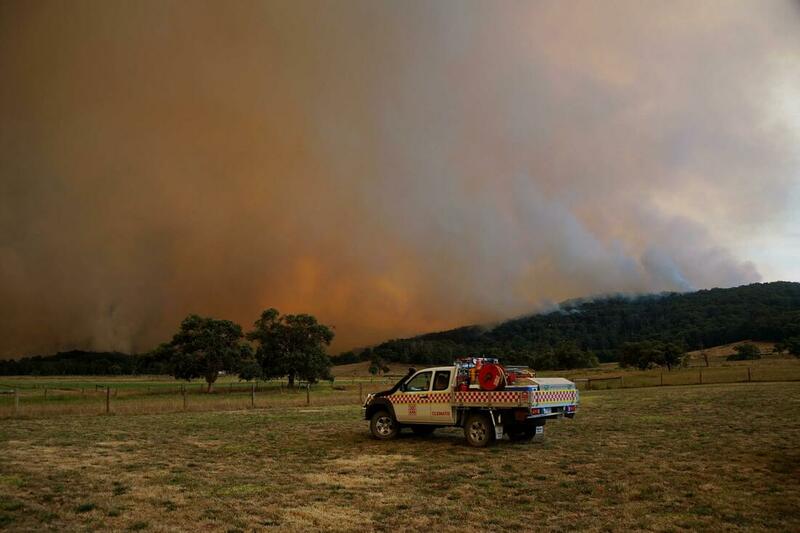 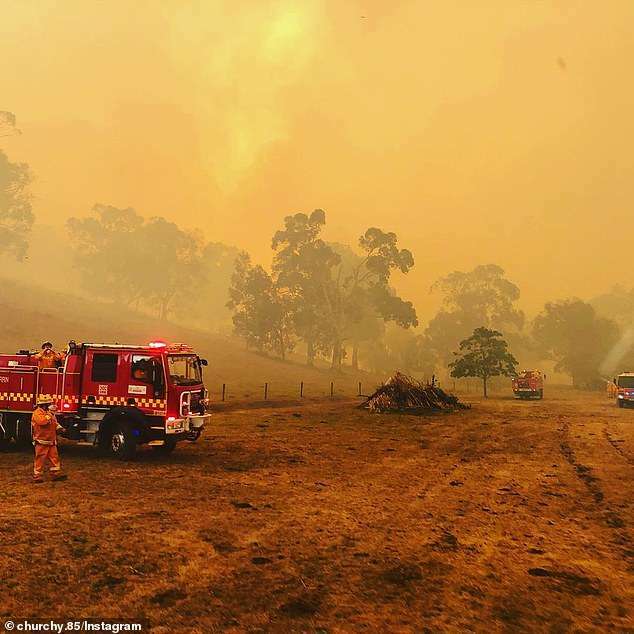 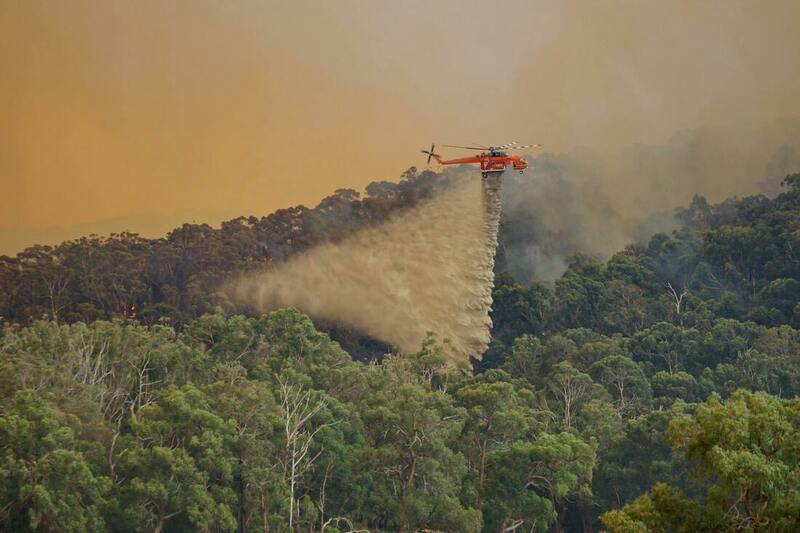 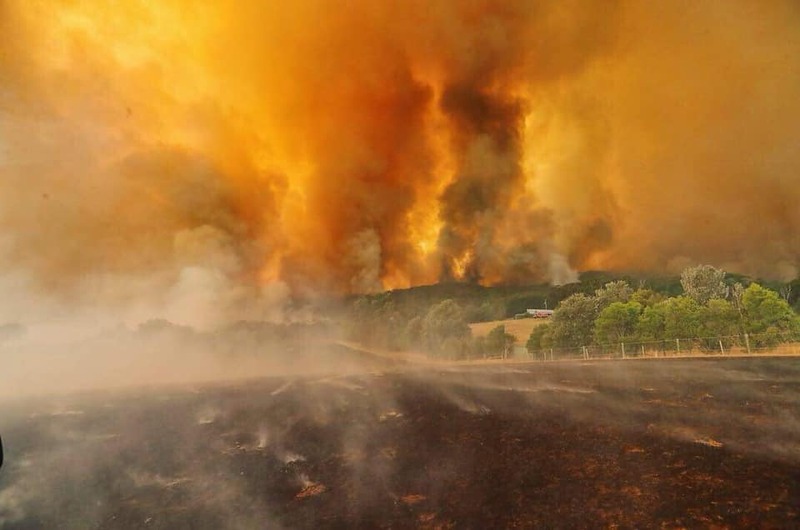 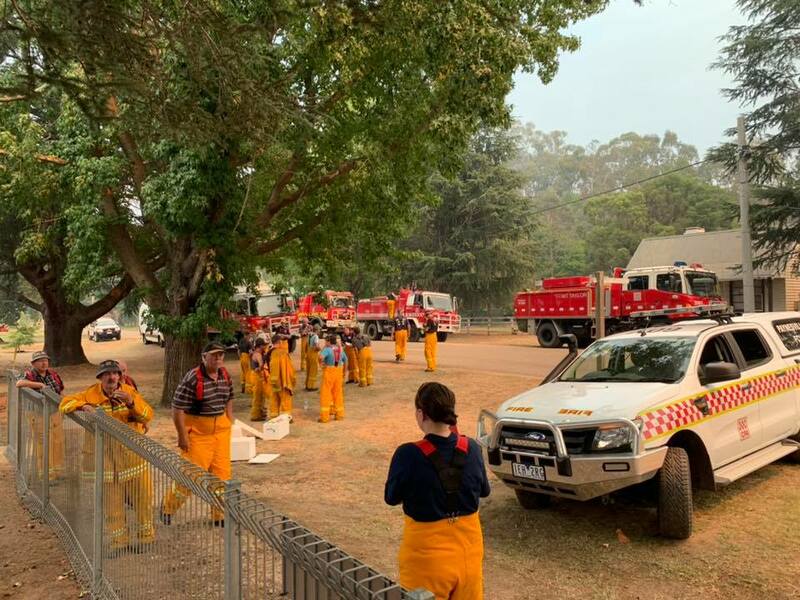 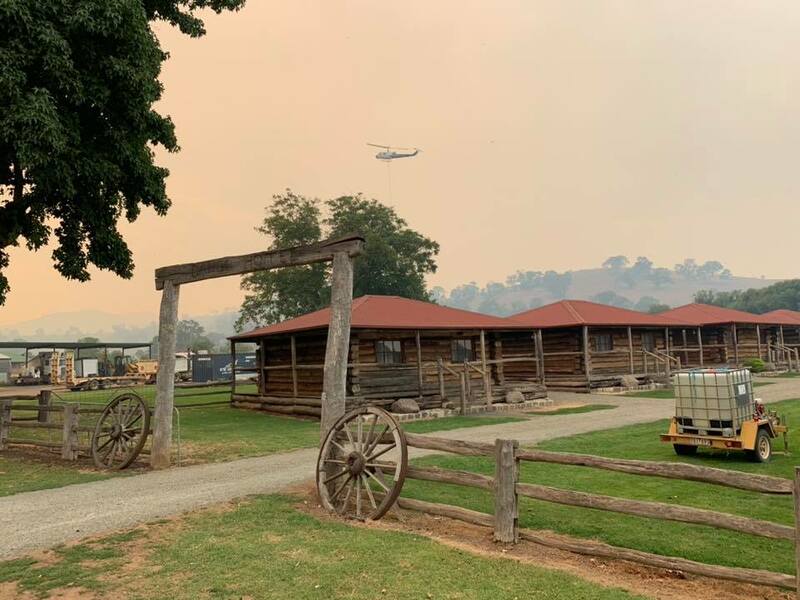 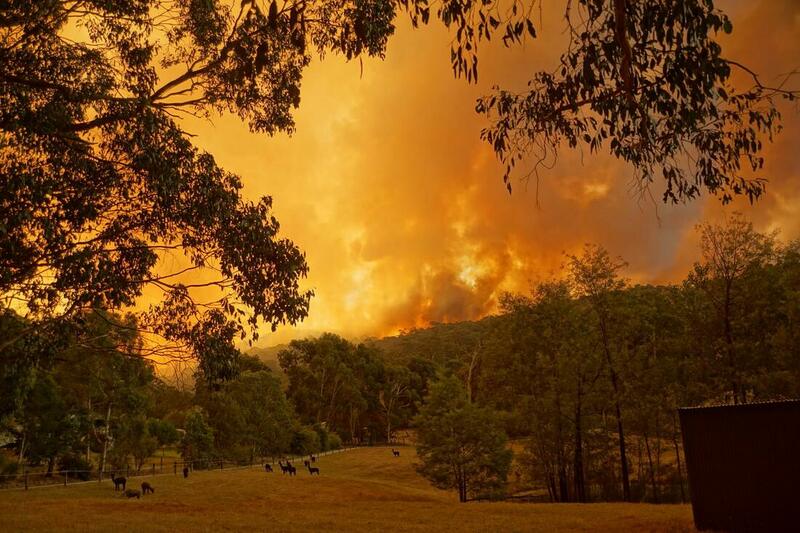 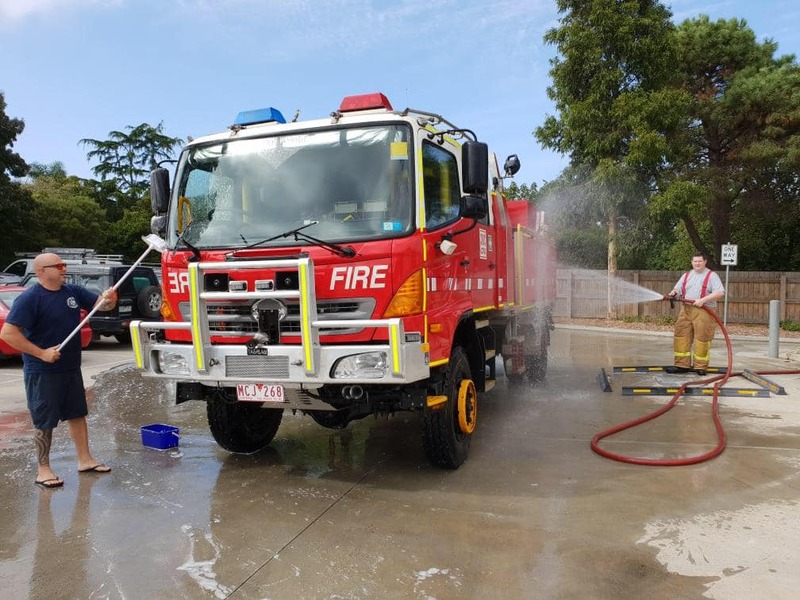 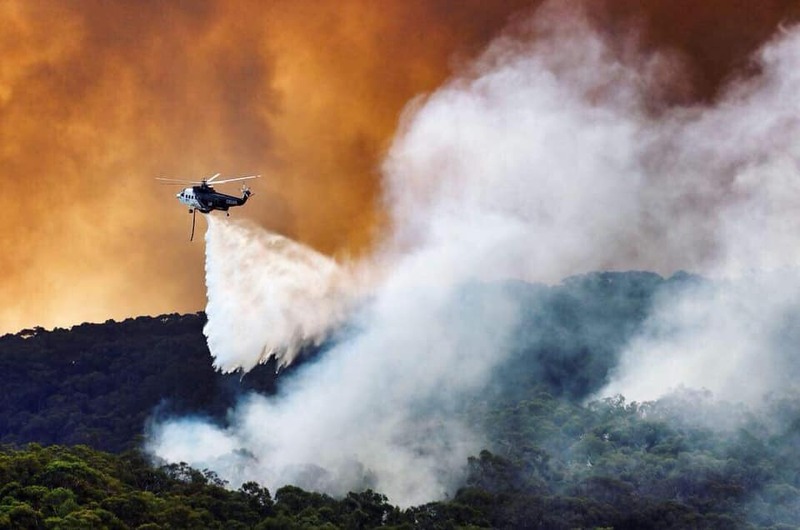 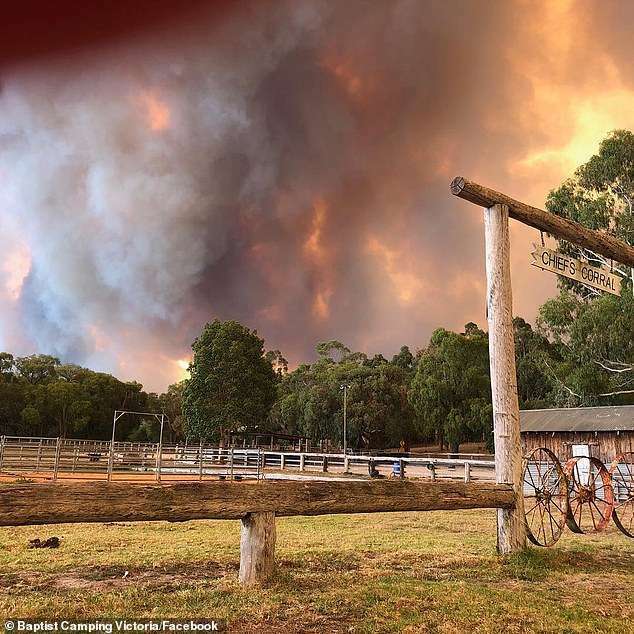 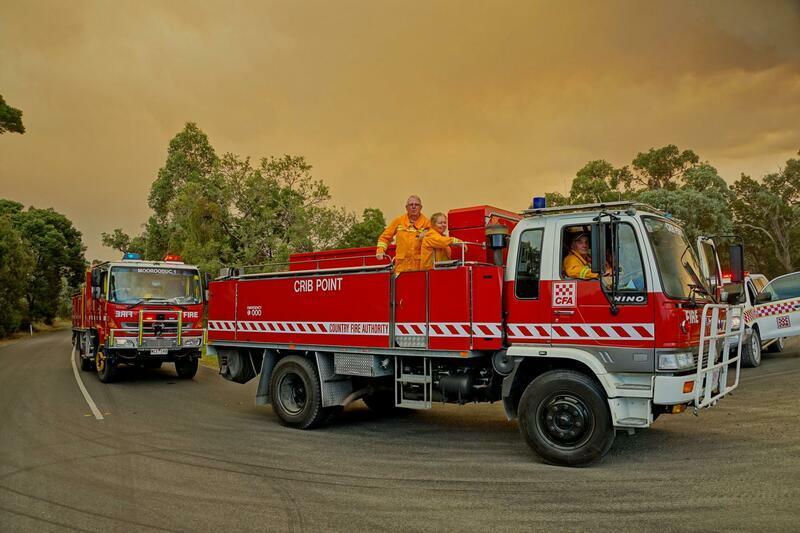 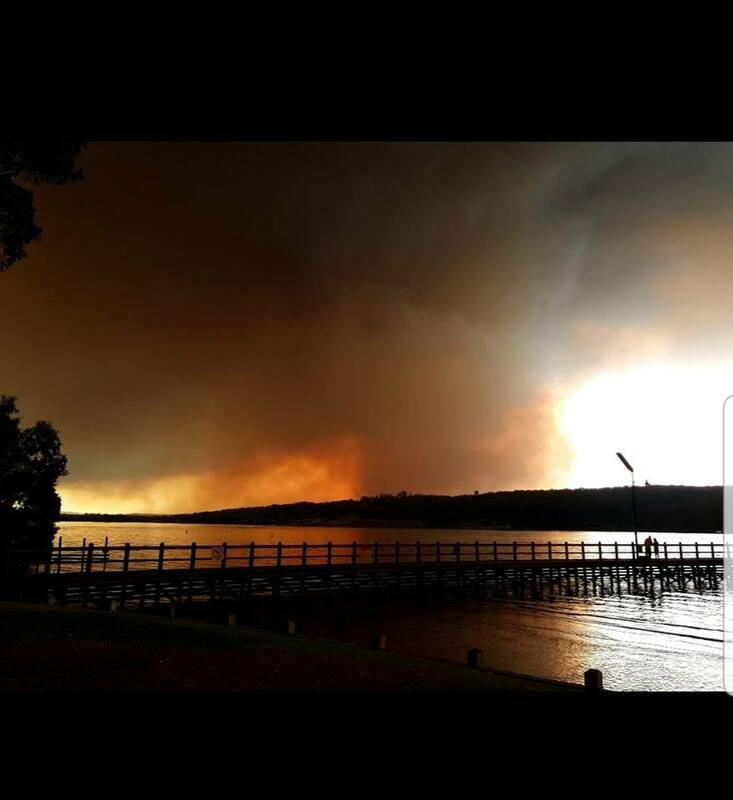 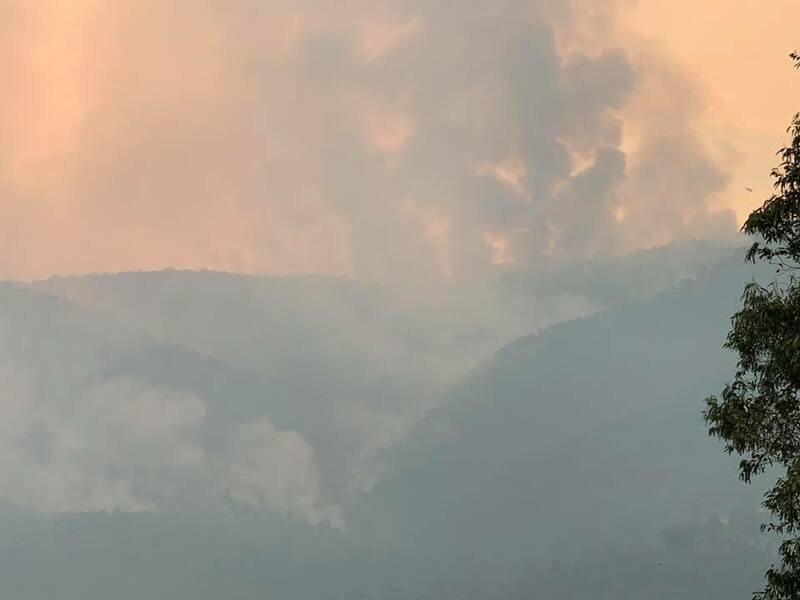 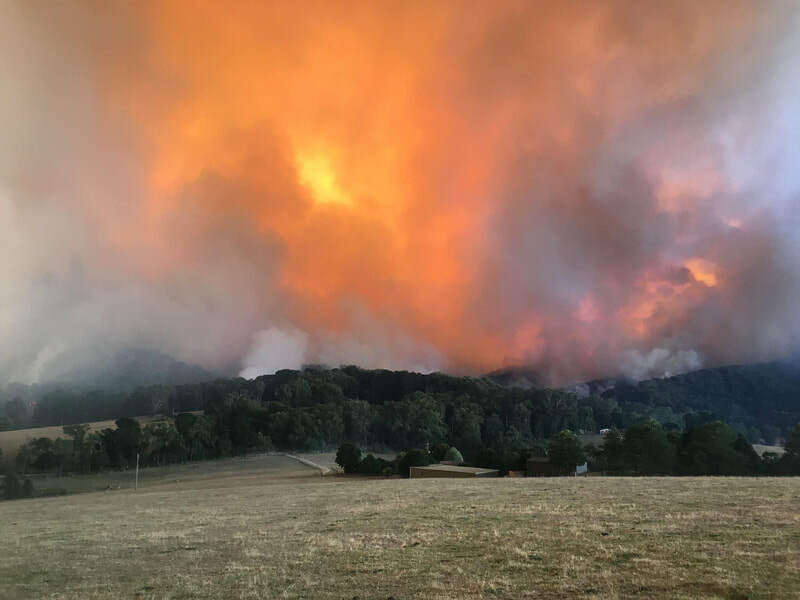 The fires in Bunyip and Yinnar South in west Gippsland have destroyed at least nine properties, including some homes, and the small community of Dargo in east Gippsland remained under threat on Tuesday. 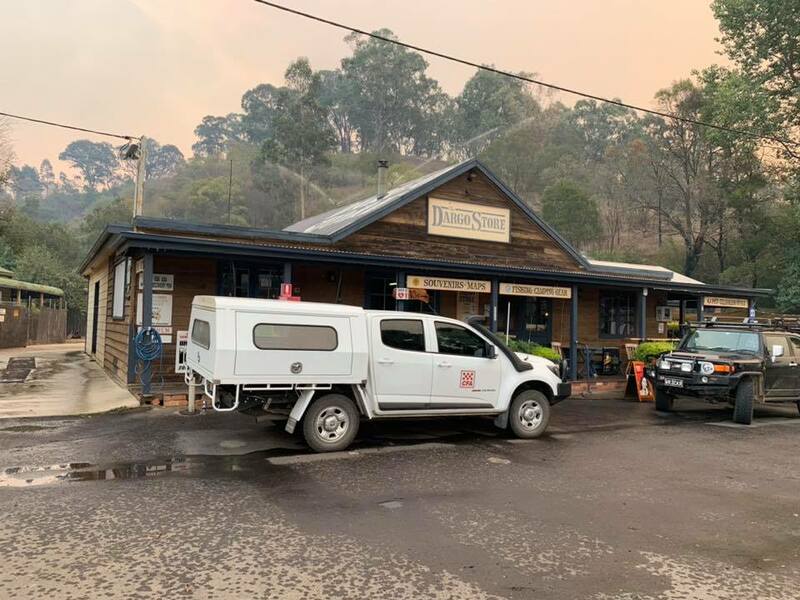 Among the properties lost was Andrew Clarke’s home, a wine bar and gallery at Jinks Creek, which was destroyed in the fire that started from a lightning strike in the Bunyip state park last week. Clarke blamed the severity of the fire on a failure to clear scrub and undergrowth from the forest. 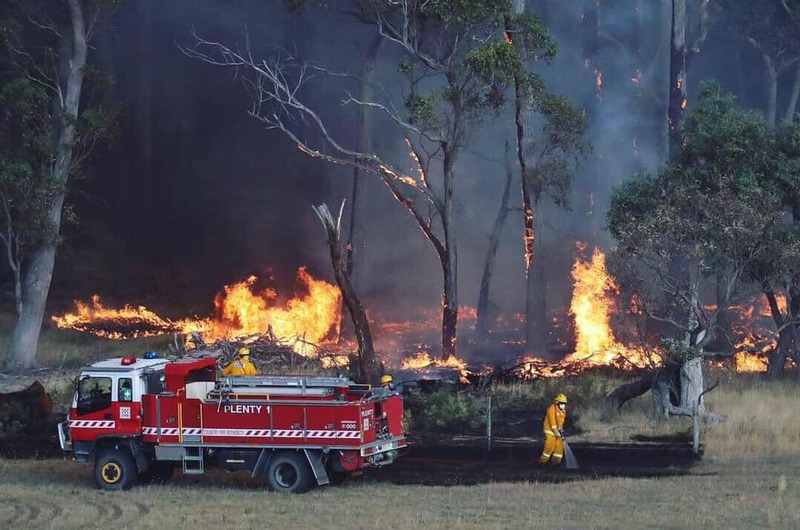 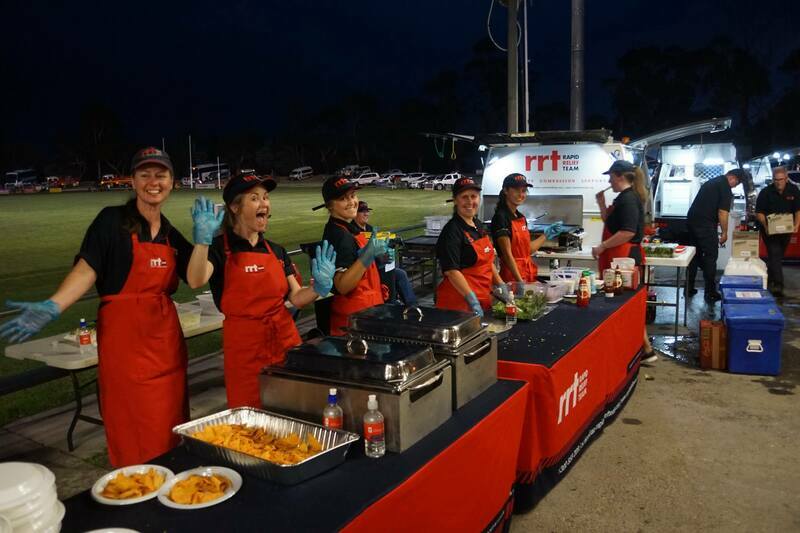 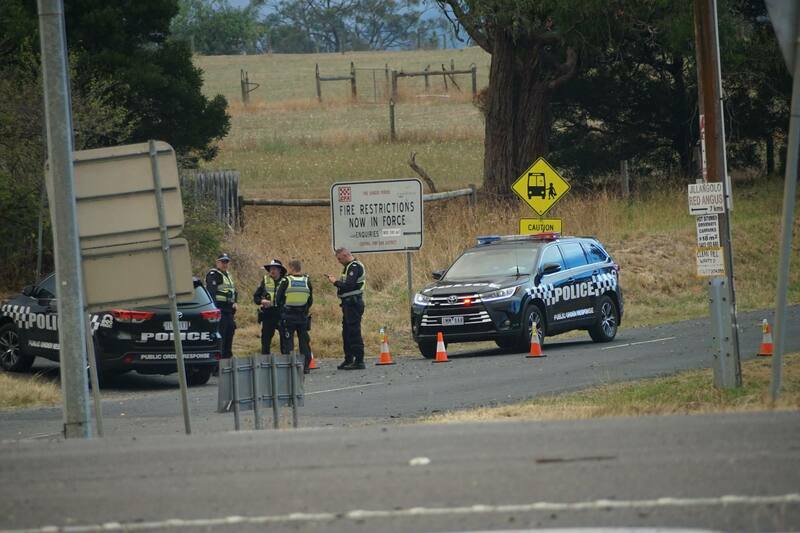 “We are so devastated and I have tried to get the message through to Parks Victoria for years and years,” he said on Tuesday, 5 March 2019. 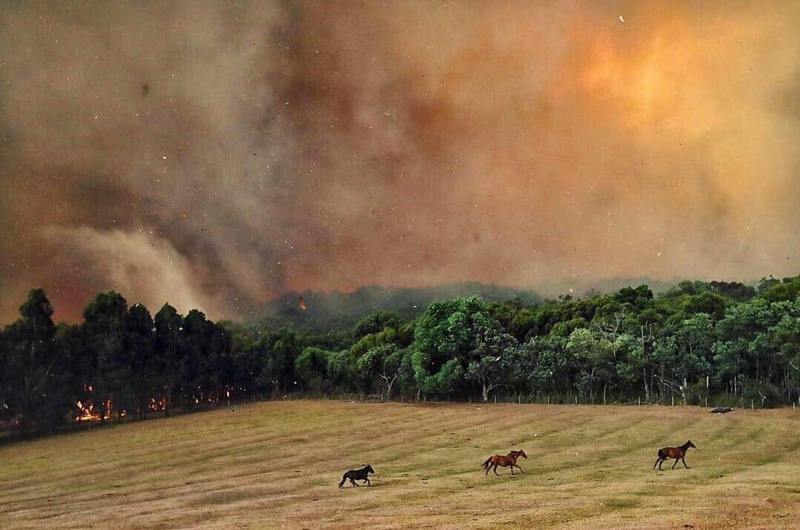 “And nothing has been done. 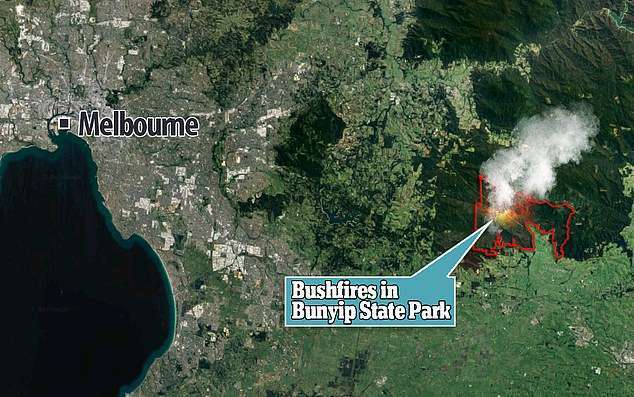 The royal commission into the 2009 Black Saturday bushfires, which killed 173 people on 7 February 2009, recommended that 5 percent of Victorian public land be burnt each year. 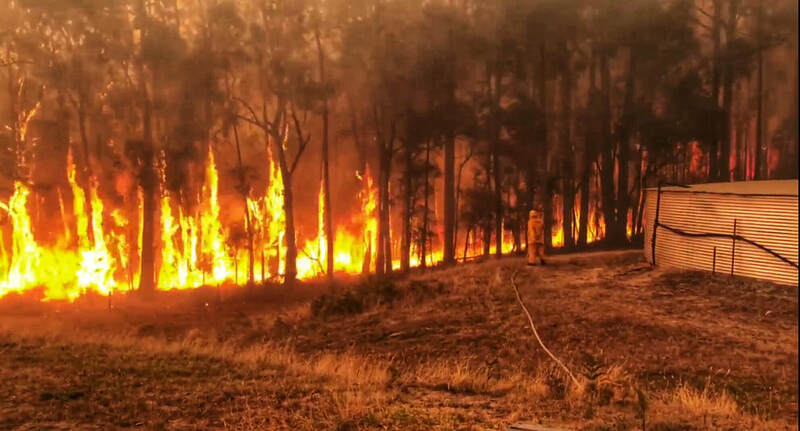 But planned burning in Victoria declined from more than 125 000 hectares in 2016-17 to about 74 000 hectares in 2017-18, the environment department’s annual report shows. 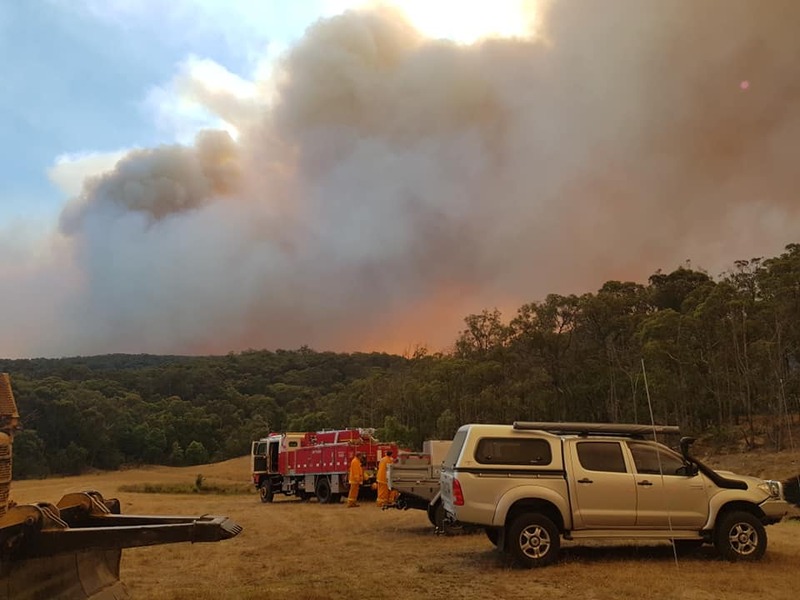 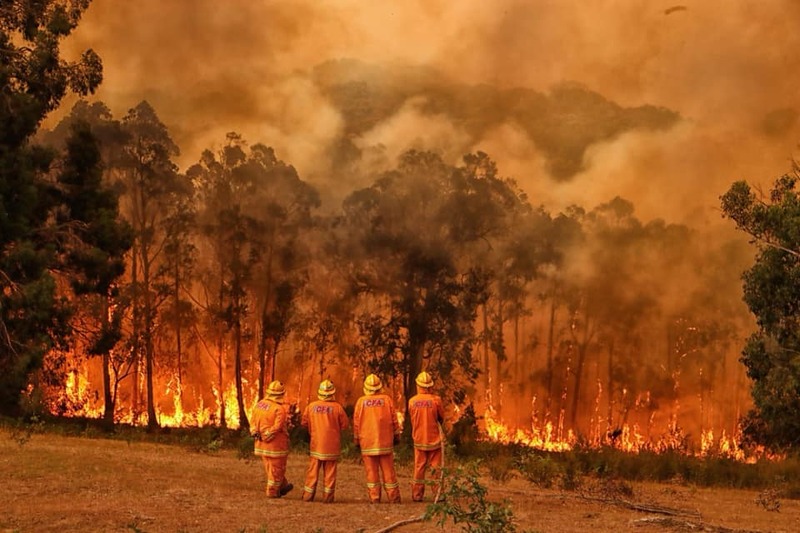 The department said its statewide target was to maintain bushfire risk at or below 70 percent, meaning “the risk of a major fire, like Black Saturday, would be reduced by about a third”. 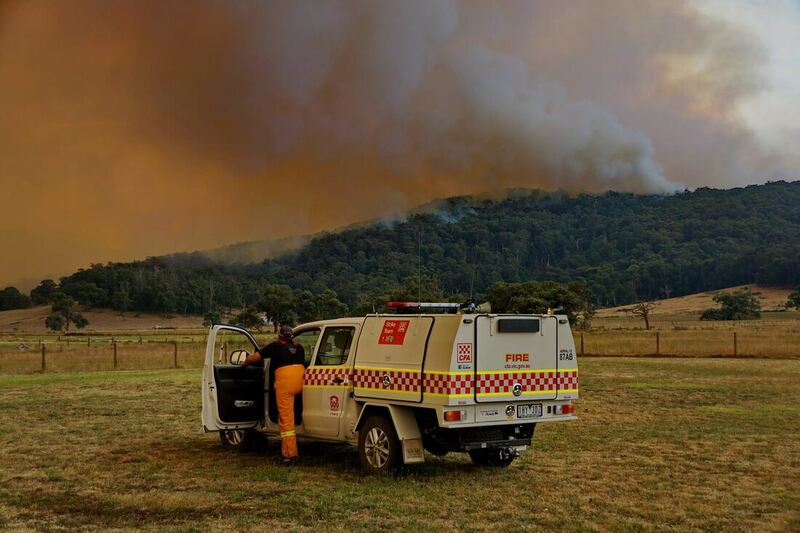 Cooler temperatures were tipped to bring welcome relief to fire crews on Tuesday but a severe thunderstorm warning could bring flash-flooding and dry lightning. 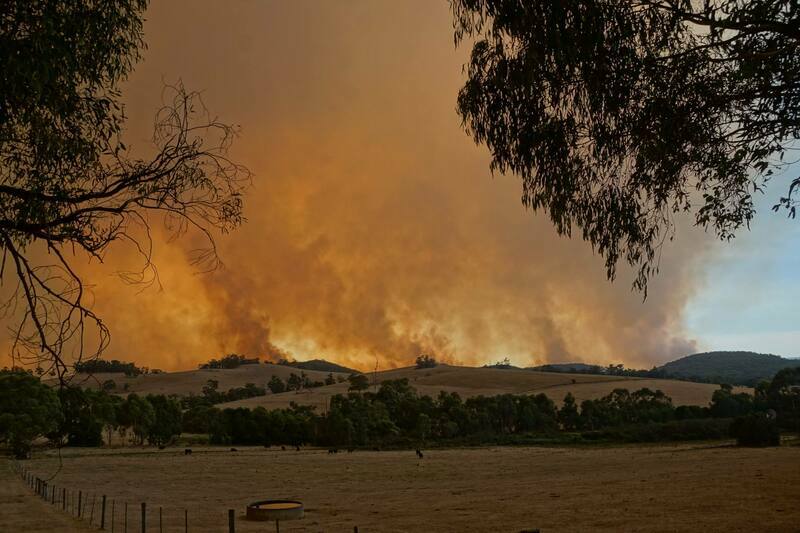 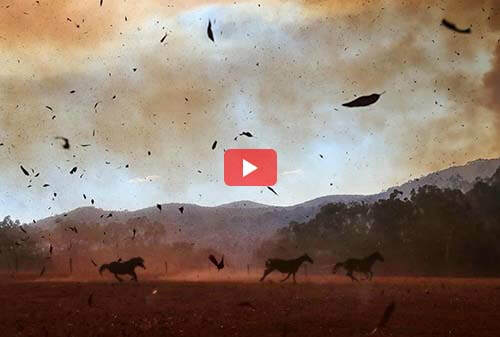 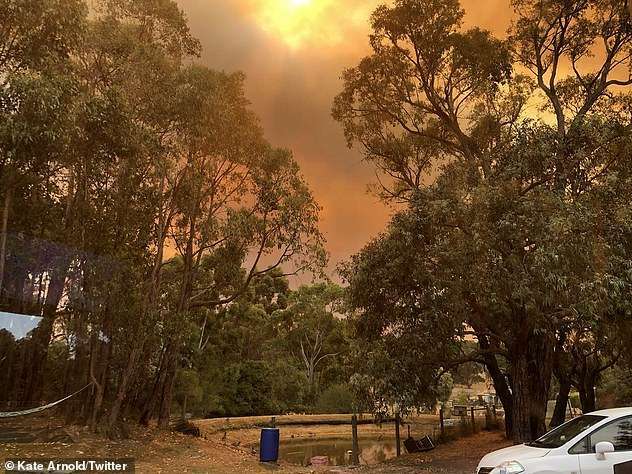 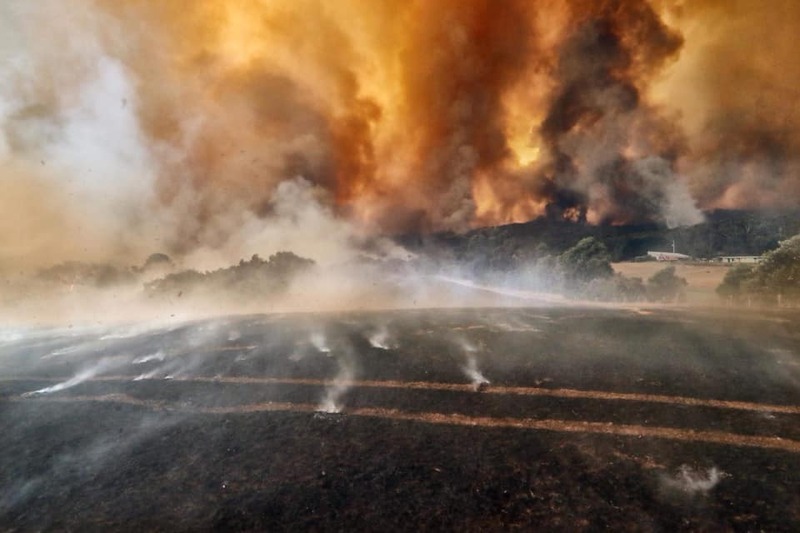 The warning levels for all Victorian fires was downgraded to watch and act but the fires were still out of control and authorities warned they could flare up again as the cold front moved through, bringing strong south-westerly winds. 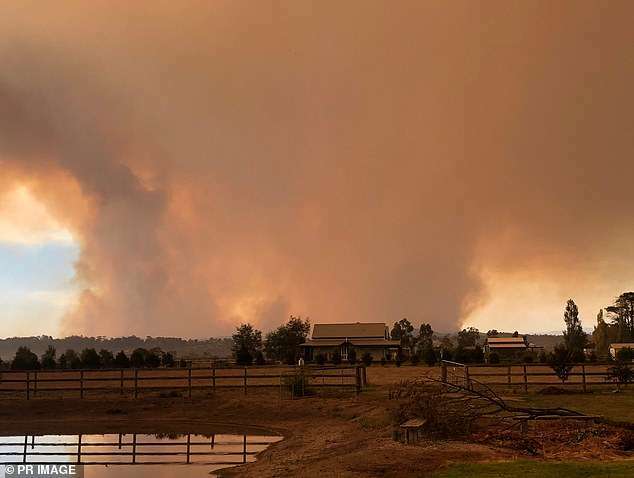 The Country Fire Authority said the number of properties lost was expected to rise over the next few days. 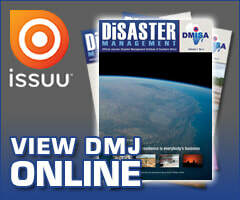 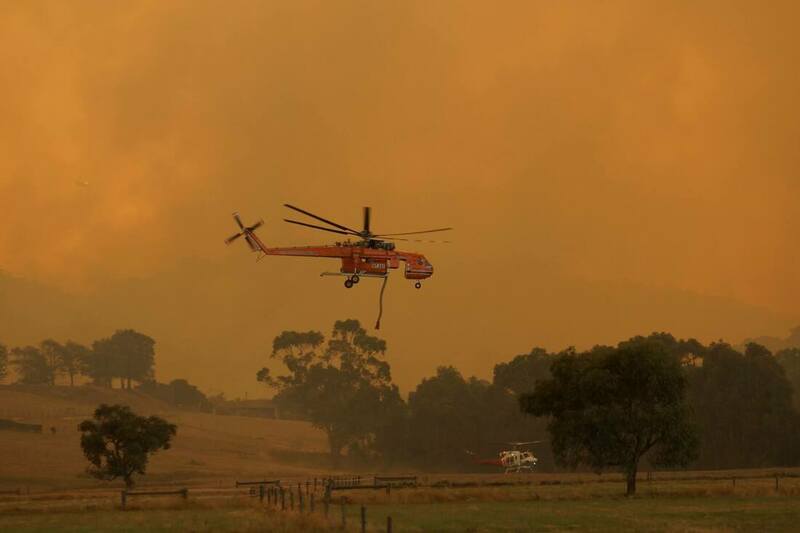 Six watch and act warnings were in place across the state on Tuesday, covering more than 50 towns. 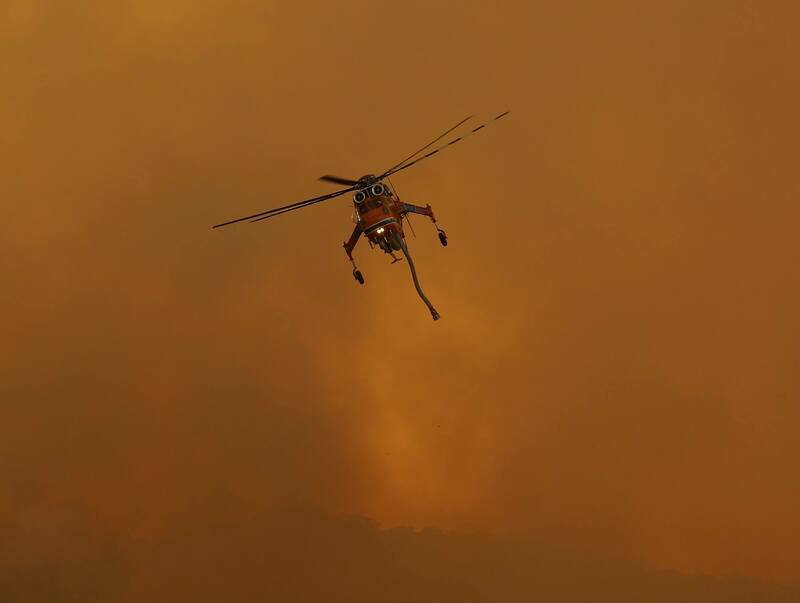 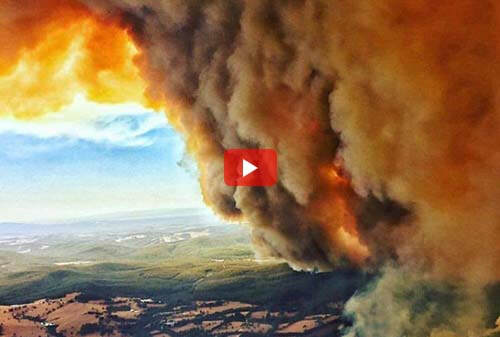 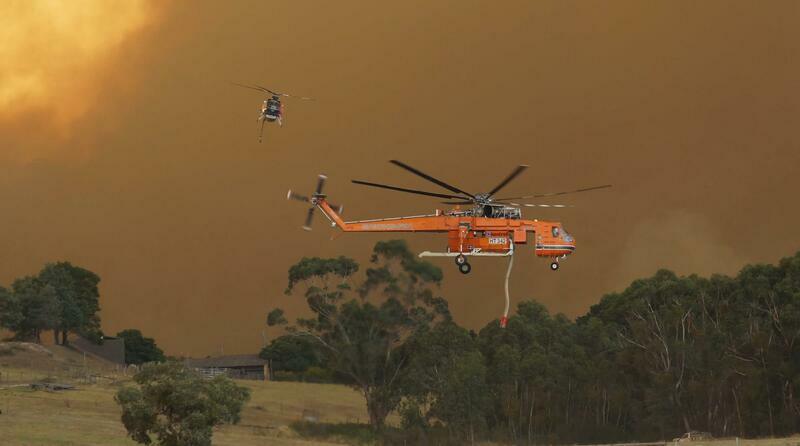 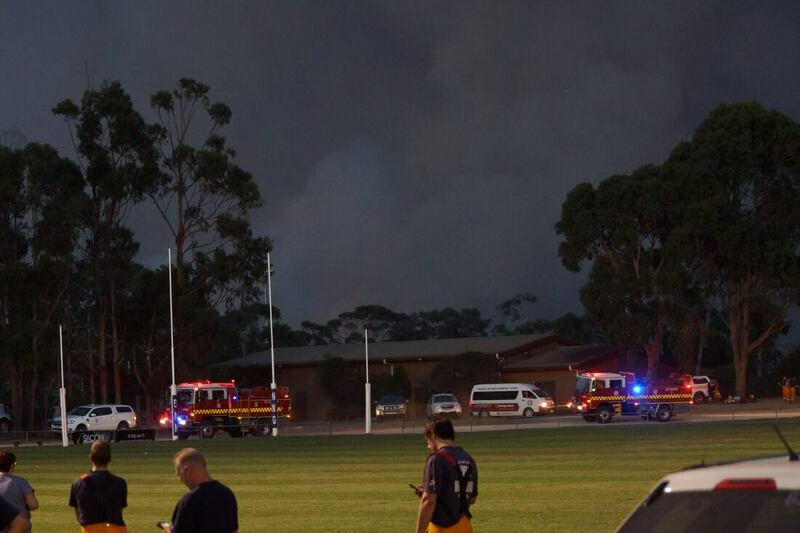 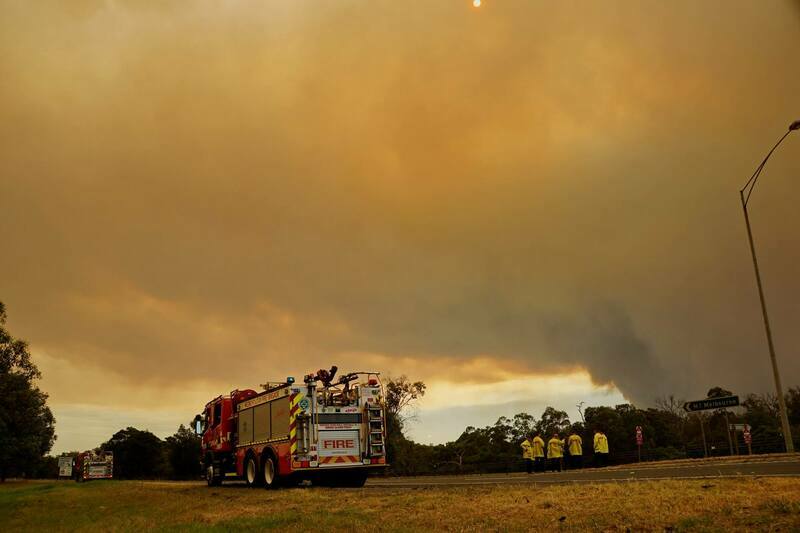 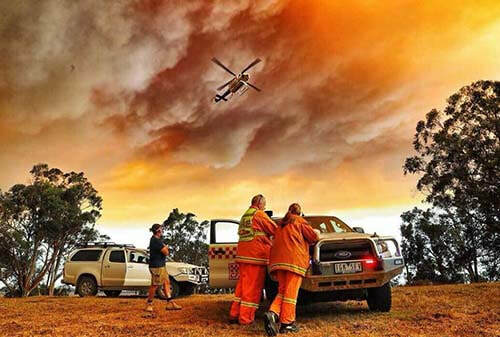 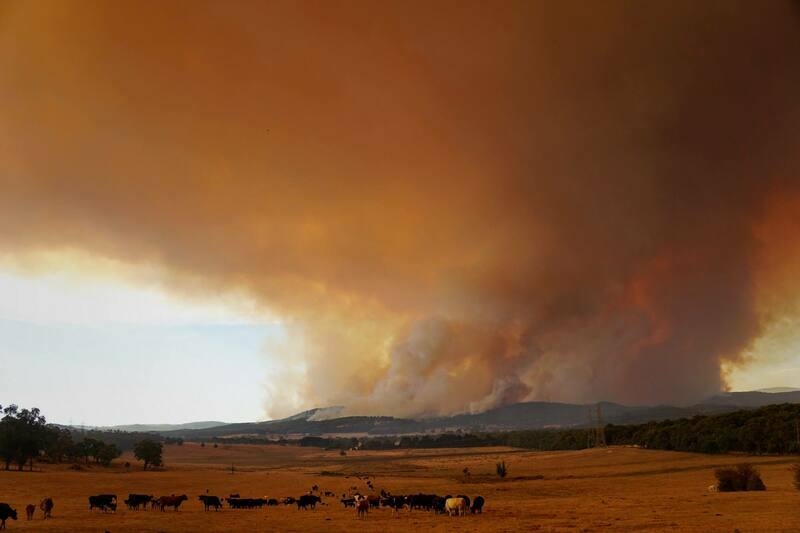 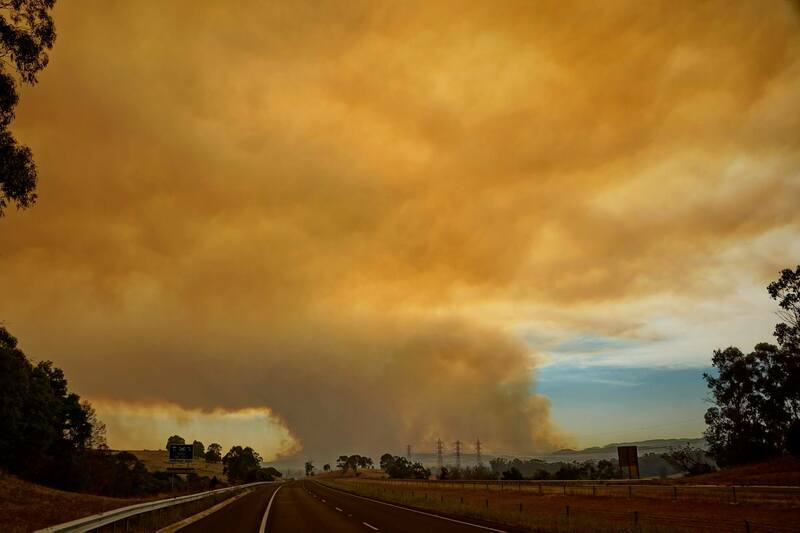 More than 2 000 fire fighters were battling blazes across Victoria, alongside 71 aircraft and help from New South Wales. 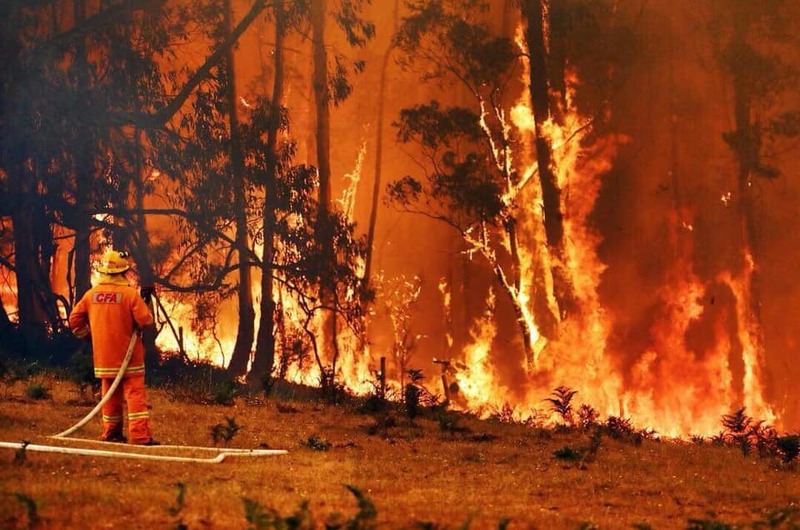 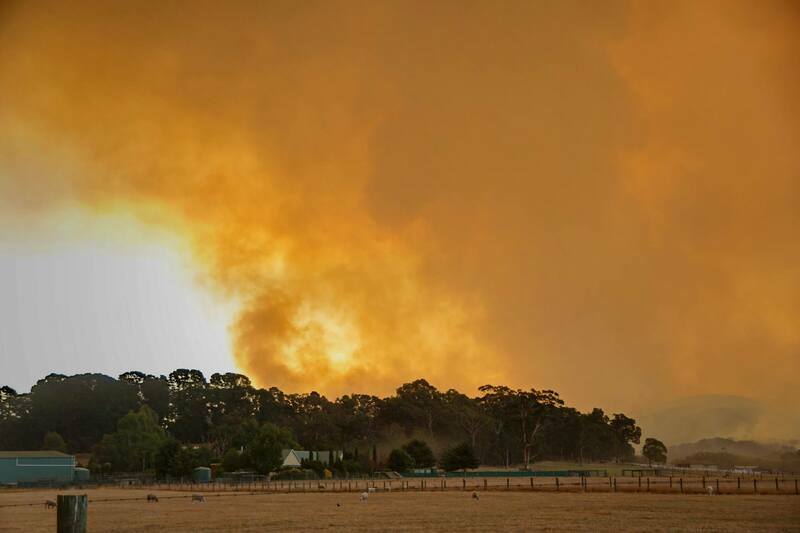 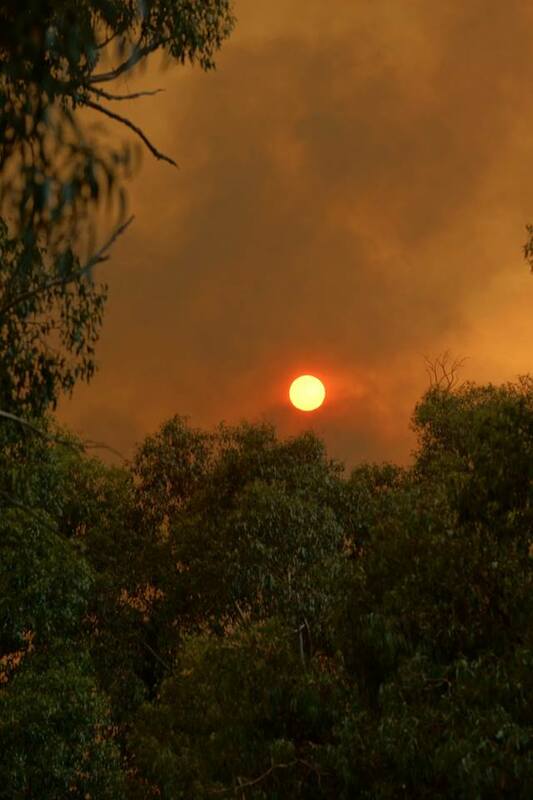 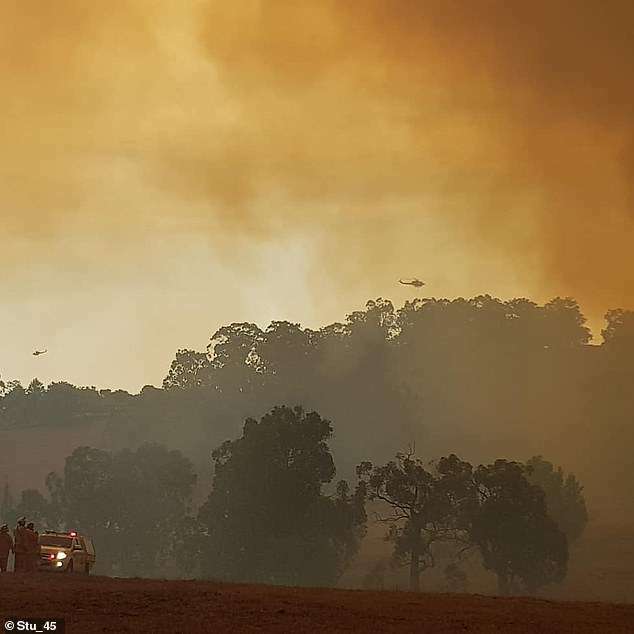 In Western Australia, an emergency warning remained in place for a bushfire that started in Walyunga national park on Monday afternoon and was fanned by 80km/h winds towards homes in Bullsbrook, Gidgegannup and Shady Hills Estate on Perth’s north-eastern fringe. 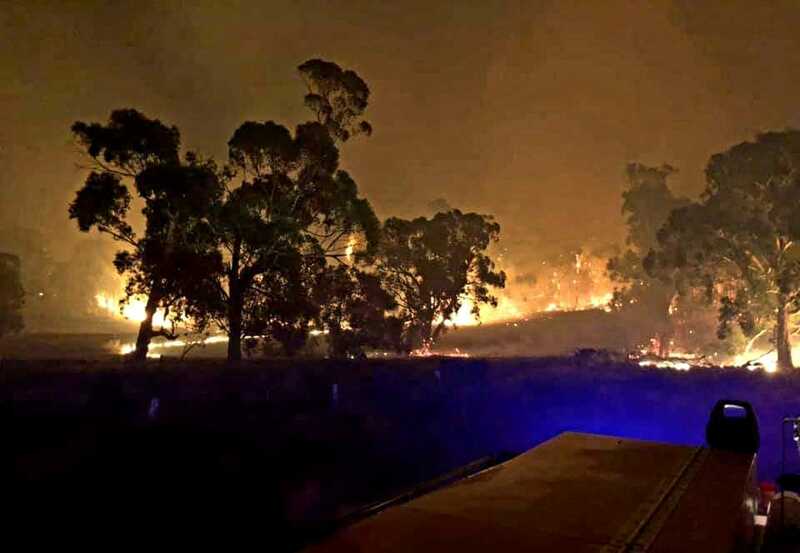 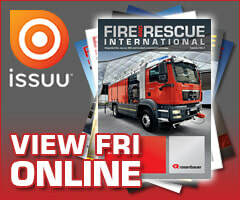 Residents spent Monday night in hotels while six water bombers tried to slow the blaze.